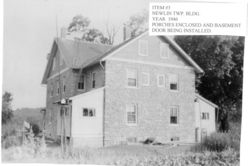 The Newlin Historical Committee was established to identify, list and preserve for posterity significant architectural, natural and other historic sites within the boundaries of Newlin Township and to preserve an awareness of the history of the Township. 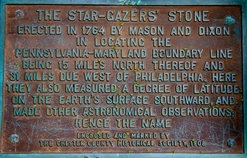 Examples are the Star Gazer Stone, Embreeville Mill, Indian Hannah's gravesite, ten historic houses and four Historic Districts that are listed on the National Register of Historic Places. 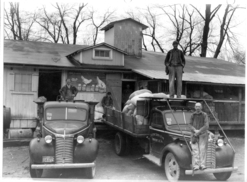 The Committee established a Historic Resource Index Database which lists and classifies Newlin's historical resources in addition to the examples given above. 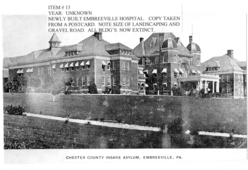 This database was used to support the development of the Chester County Historical Resource Atlas for Newlin and inputs to the Unionville Area Regional Comprehensive Plan. Both of these documents were published in 2011. 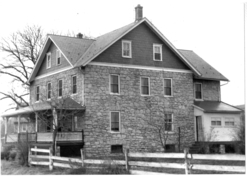 The Committee expanded the database by developing detailed documentation of Newlin's historical resources using the Pennsylvania Historic Resource Survey Form. 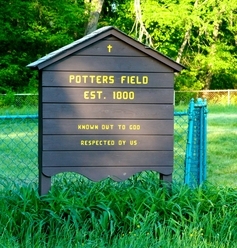 Eight houses have been researched and documented. 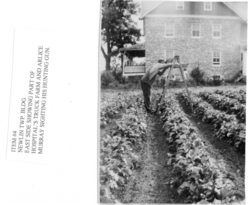 The committee supported historical activities like the Brandywine Battle Field task Force. 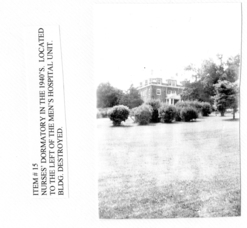 The pictures below include the old Embreeville Hospital and grounds and the Township's house at 1751 Embreeville Road. 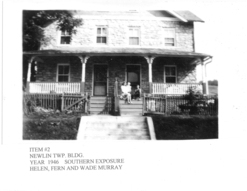 They were pictured in a book about the house by Helen Murray that was presented to the Township is 2004. 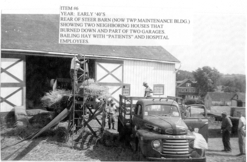 Thank you to The Murray Family for preserving this historical part of Newlin.